The CIO-CTR05 and CTR10 are 5 and 10-channel counter timer boards for IBM PC and compatible computers. 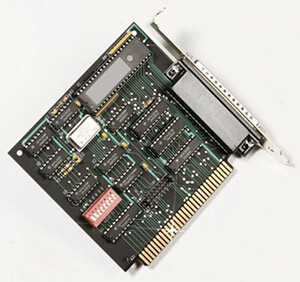 The boards employs a 9513 counter/timer chip, providing five counters with 16-bit count registers (the CIO-CTR10 has two 9513 chips). The 9513 is an extremely powerful and flexible component, software programmable for event counting, pulse and frequency measurement, alarm comparator and other input functions. As an output device, the 9513 can generate frequencies with complex duty cycles and provide one-shot and continuous outputs.